Jason Juno/Daily Globe (Ironwood) Ewen-Trout Creek's Paige Berglund, middle, has her shot blocked by Baraga's Carsyn Osterman, left, during Monday night's Copper Mountain Conference game at Ewen. EWEN — Baraga’s suffocating pressure defense held Ewen-Trout Creek more than 30 points under their season average, as the Vikings won the matchup of Copper Mountain Conference division leaders 36-17 Monday night. The Panthers took 16 fewer shots than average and finished 5 of 39 (13 percent) from the floor against the No. 2 ranked team in Class D in the Upper Peninsula. Baraga’s experience showed and E-TC, tied for fourth in the same poll, missed junior Maddy Cronkright, who injured her toe last week. “Their defensive pressure just squashed our girls tonight, physically and mentally — very much mentally, I think,” E-TC coach Jacky Besonen said. The Vikings clinched the Copper Country Division title with the win and at least a share of the Copper Mountain Conference championship. It’s been about 15 years since Baraga (15-2, 12-1) has won a conference. E-TC remains in first place in the Porcupine Mountain Division. The Panthers struggled to even get shots and getting around the Vikings’ defenders was not easy. Offense was hard to come by for both teams in the first half. Baraga didn’t score for the first 5 minutes, 41 seconds and E-TC made just two field goals. Baraga built a 16-7 lead as Casey Mleko scored nine points and Justine Kinnunen had the other seven. The Panthers weren’t able to take advantage of Carsyn Osterman, Baraga’s top player, sitting out with foul trouble and going scoreless in the first half. Besonen thought E-TC had some good looks early that didn’t go and that affected them. 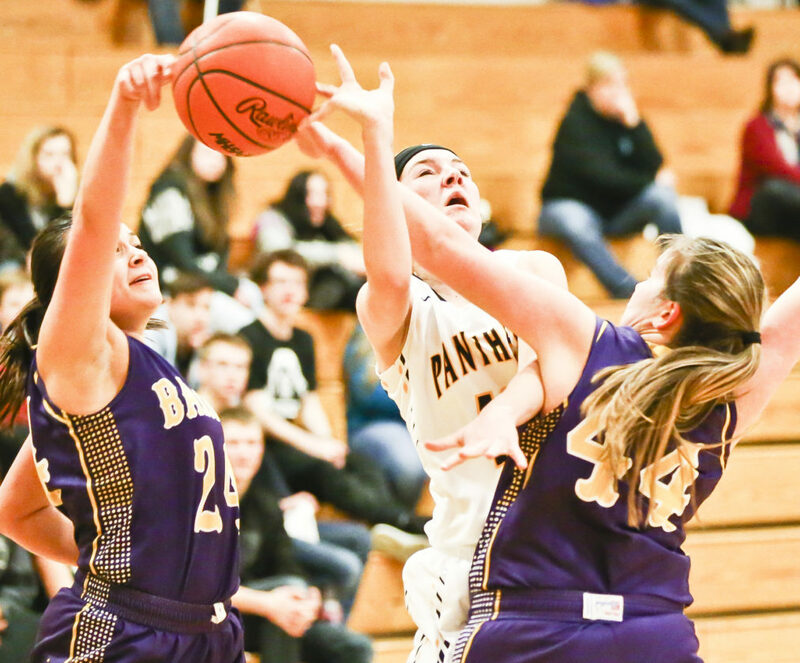 The Panthers only made one basket in the third quarter as Baraga outscored them 12-2 for a 28-9 advantage. E-TC was finally able to get a couple of shots to go in the fourth quarter, including a 3 from Elise Besonen, who led E-TC with eight points, and a runner by Emily Driesenga. The Vikings didn’t let Besonen, a dangerous outside shooter, free very often. Willis was lamenting to his team that he wished the Vikings’ defense was as good in the second half as it was in the first half. Then they reminded him they only allowed 10 points in the entire second half. “We just have not been playing real good defense, until tonight. Hopefully it’s the right time,” Willis said. Baraga starts four seniors and a junior. E-TC goes with a senior, a sophomore, two freshmen and an eighth grader. “They were a little bit stronger and more physical than we were,” Besonen said. Cronkright would have given the Panthers another option offensively against the Vikings. Mleko finished with 18 points for Baraga. Gracie Witt had 10 boards for E-TC. E-TC (11-3, 10-2) faces another conference test Thursday when it goes to Jeffers. Baraga goes to Calumet on Monday. 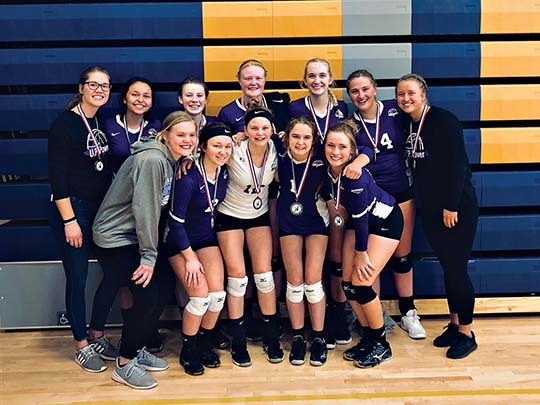 Baraga – Megan Kinnunen 5, Justine Kinnunen 7, Casey Mleko 18, Carsyn Osterman 4, Kerstyn Clisch 2. FTs: 7-10. Fouls: 12. Fouled out: None. 3-pointers: J. Kinnunen 1. E-TC – Gracie Witt 2, Paige Berglund 3, Emily Driesenga 4, Elise Besonen 8. FTs: 5-10. Fouls: 11. Fouled out: None. 3-pointers: Besonen 2.